The CN9-SW software is designed to interface with the CN9300, CN9400 and CN9500 series controllers with optional communication hardware. The CN9-SW takes up approximately 1Mb. The size is dependent on the number of controllers and the frequency that they are being logged. A very approximate figure is per reading: 12 bytes date/time plus 4 bytes for each instrument being logged. Designed for use on laptops or PC’s, this new development provides the user with: Time saving benefit and convenience of remotely configuring and adjusting units. Saving and retrieving settings to and from files. Cloning settings to other instruments. Highly flexible logging and “real time” charting capability for providing hard copy QA records for ISO-9000 and other management purposes. The CN9-SW software is a powerful process development tool for the OEM customer or process engineer. With compatible modems and PC computers, remote site supervisory control and data acquisition can take place to facilitate periodic or continuous monitoring and troubleshooting. Data is stored to file in a tamper resistant format to ensure the integrity of reports for quality monitoring requirements. Build your own multi-loop system with the CN9300/CN9400/CN9500 series controllers and CN9-SW software. Allows both local and remote adjustment. The CN9-SW software can be used as a production tool for the OEM. Downloading menu settings to controllers during production saves time and eliminates errors. 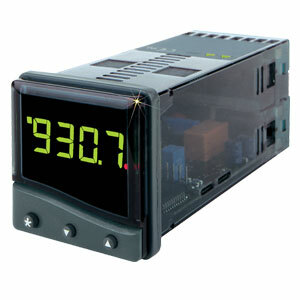 참고: This software is compatible with the CN9300, CN9400, and CN9500 series controllers only.